Pipeline is a creative scrappy look using jelly rolls. It may look like a lot of pieces but there will be a trick to help break it down so you can make it in no time! 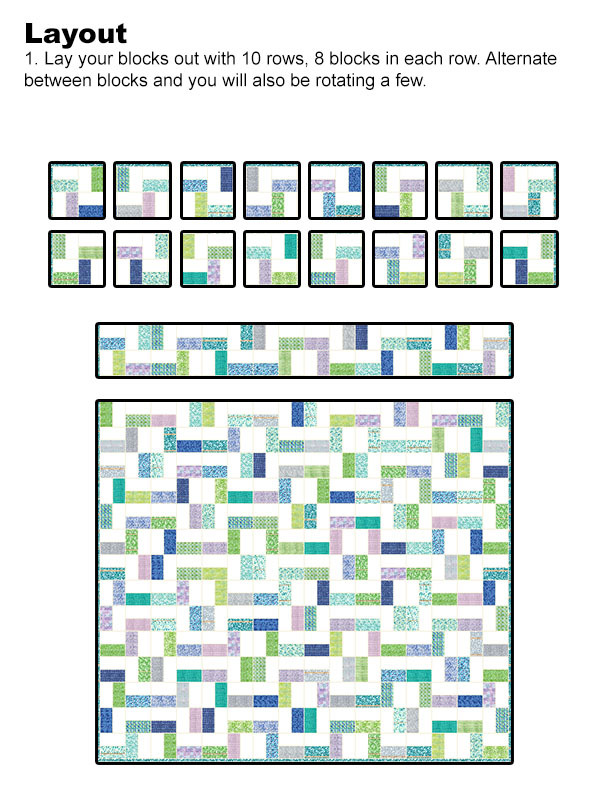 Finished Size is 65" x 81"
Don't forget about our Edge to Edge quilt patterns that are on sale. Most of these would actually look lovely on this quilt! 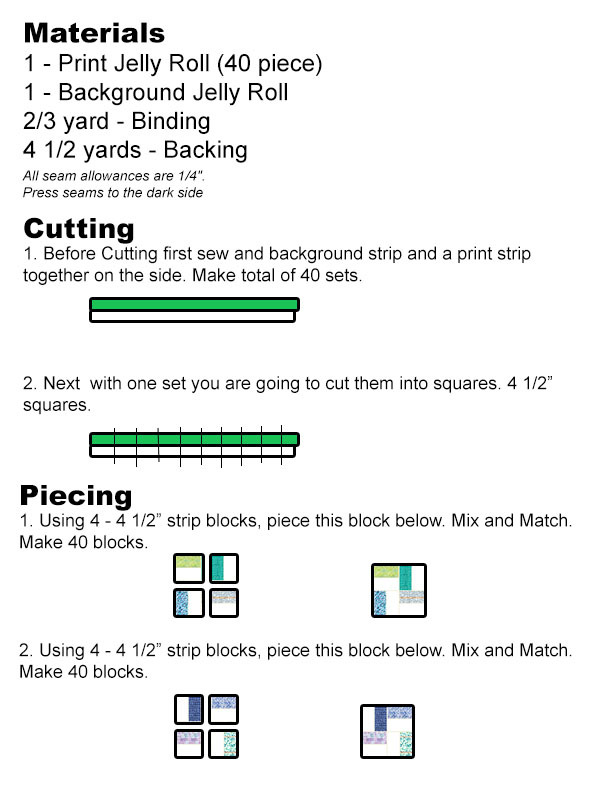 So how much fabric would one need if not using jelly rolls? 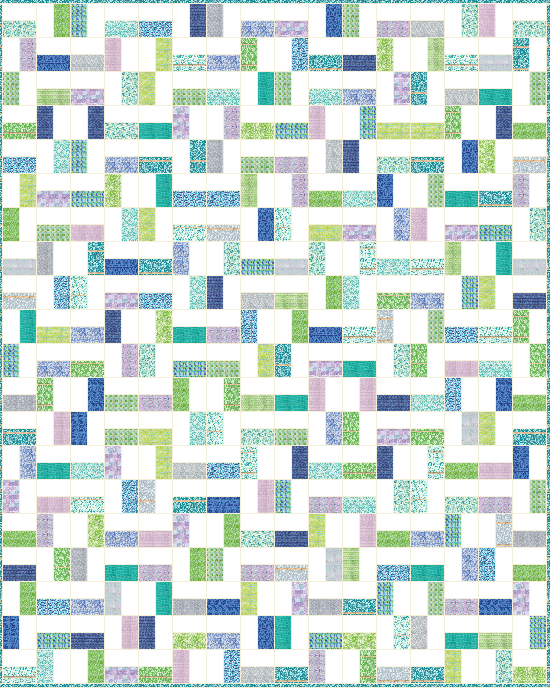 Perfect scrap quilt for all your 2 1/2 inch strips. Would also look great in just patriotic colors. Have a big bunch of 2 1/2" strips. I have been cutting a 2 1/2 " strip from most fabrics as I get them... Lots of variety this way and totally painless! I would just have to cut background strips to go with them. There are lots of other patterns out there, but I like this one and it's easy.